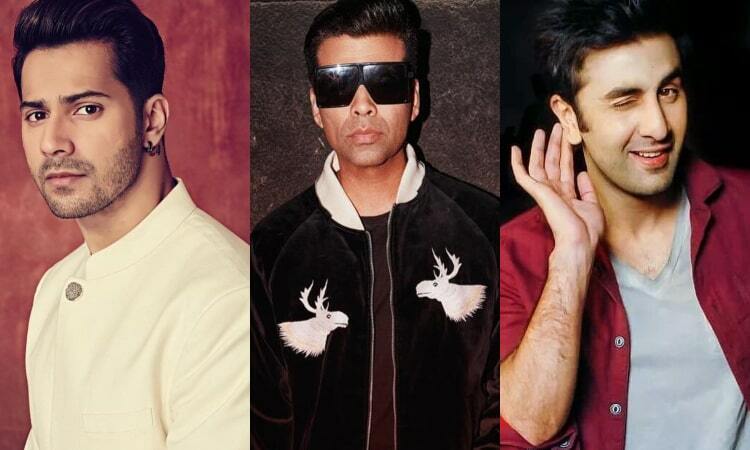 It is known that Karan Johar shares a great bond with Ranbir Kapoor while for Varun Dhawan, he is like a mentor. Recently, the filmmaker, during his appearance on the on Arbaaz Khan's new chat show called Quick Heal Pinch, was asked who will he follow, unfollow and block out of Sidharth Malhotra, Varun Dhawan and Ranbir Kapoor. After much consideration, KJo decided that he will follow Sidharth but unfollow Varun, stating that he any ways gets to know what the Kalank star is doing in his daily life. Interestingly, he chose to block Ranbir since he is not on social media. Here's what he said, "I will block Ranbir Kapoor, he is not on social media. So, I can block him. I will unfollow Varun Dhawan, because I am following him all the time in life, anyway. I know his daily moves and he knows mine. He's in touch with me all the time. And I'll follow Sidharth Malhotra." Similarly, he was asked the same question for Alia Bhatt, Sara Ali Khan and Janhvi Kapoor. While he chose to follow Alia, he decided to not unfollow or block either of the other two. Last but not the least, Karan revealed that he keeps teasing Zoya Akhtar about her Instagram posts and tells her that her esoteric posts are not spicy enough.